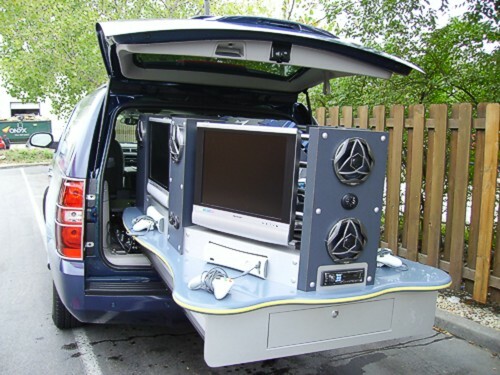 This Mobile Marketing SUV was converted into a mobile display & entertainment vehicle. 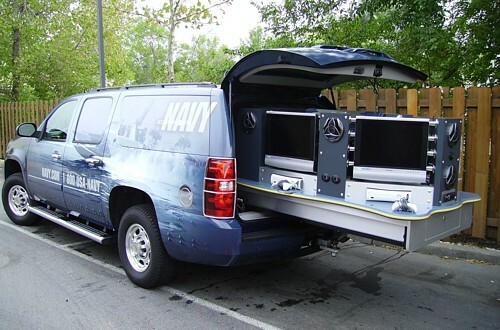 The back of the mobile marketing vehicle features a first ever slide out tray for an intense audio/visual system. 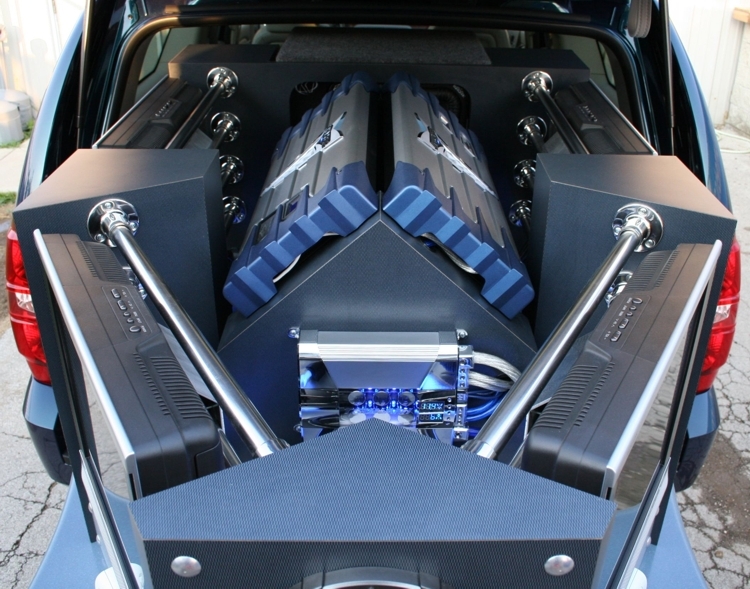 Everything ties into a speaker system, complete with eight sub woofers and amplifiers. A street glow lighting system pulses to the sound of the music - drawing all kinds of attention. 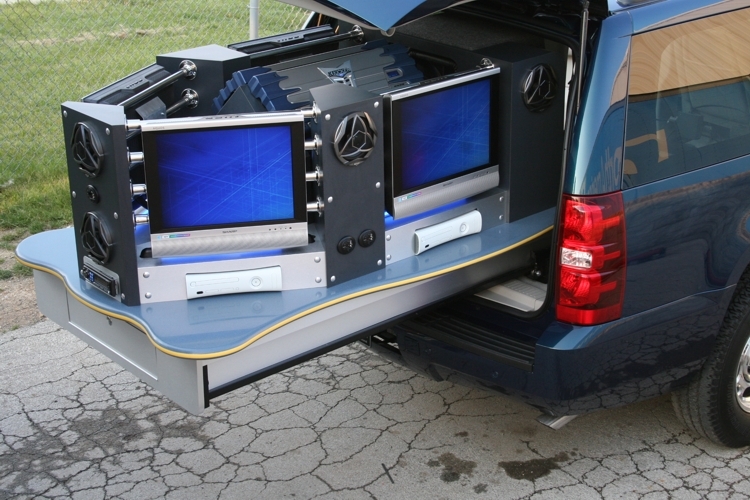 The system consists of four XBOX 360 game stations and four LCD monitors. 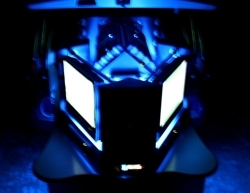 The systems are single game interface meaning that they are not tied to the others allowing four individuals to play four separate games. In addition, each station has two wired head sets. There is also an additional "house" system which consists of a DVD/CD/MP3 system capable of "routing" onto the one individual TV, all four simultaneously, or sound only. 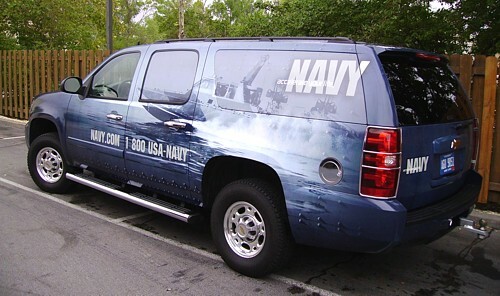 One of the best features of this vehicle is how portable and flexible it is. 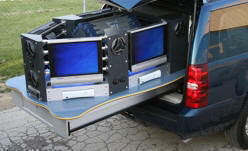 The tray with all the video & audio equipment can be easily removed and the Escapade can be used for something else.